Provide comfort for the family of Deborah Sue Deckard with a meaningful gesture of sympathy. 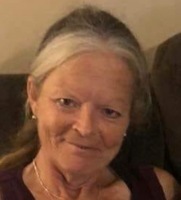 Deborah Sue Deckard, 60, of Bloomington, passed away unexpectedly on Thursday November 29, 2018 at IU Health Bloomington Hospital. Debbie was born January 21, 1958 in Franklin, Indiana and was the daughter of the late Paul E. Alvey Sr. and Myrtle Easter (Patterson) Alvey. Debbie loved her family more than anything and was selfless, always wanting to help others before helping herself. She had formerly worked at PTS Electronics. Debbie is survived by her husband of 44 years, Eddie E. Deckard of Bloomington; two daughters, Charity (Derek) Williams of Nashville, TN and Rebecca (James) Harkrider of Spencer, IN; one son Carl “Eddie” (Cerra) Deckard of Niles, MI; 6 grandchildren, Chase Williams, Hunter Williams, Tyler (Brittany) Smoot, Jarett Staten, Caden Deckard, Finnegan Deckard and another baby boy due in January; 2 great grandchildren, Olivia Smoot and Sophia Smoot. Also surviving are two sisters, Theresa (Andy) Clements-Morris of Bloomington, and Rosemary Buchannan of Noblesville, IN; two brothers, Paul Alvey Jr. of Clarkson, KY, and Tom (Betty) Alvey of Whiteland, IN; sister-in-law, Teresa Parks of Bloomington; brother-in-law, Dean Whitmill of Noblesville ; mother-in-law, Vida Deckard of Bloomington, and several nieces and nephews. Debbie was preceded in death by her parents; sister, Lorinda Whitmill; and father-in-law Carl Deckard. Services for Debbie will be 1:00 pm Tuesday, December 4, 2018 at The Funeral Chapel of Powell and Deckard 3000 E. Third St. Bloomington. Pastor Steve Von Bokern will officate the service. Visitation will be on Tuesday from 11:00 am until service time at The Funeral Chapel. We encourage you to share your most beloved memories of Deborah Sue here, so that the family and other loved ones can always see it. You can upload cherished photographs, or share your favorite stories, and can even comment on those shared by others.